February 23rd, 2018 In the dankest depths of the internet. 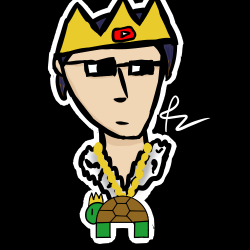 TurtleKingIII has drawn 15 drawings and authored 26 captions across 41 games. They follow 0 players and have 1 followers. They've earned a total of 27 emotes! Hello, may I take your bags up to room 137?